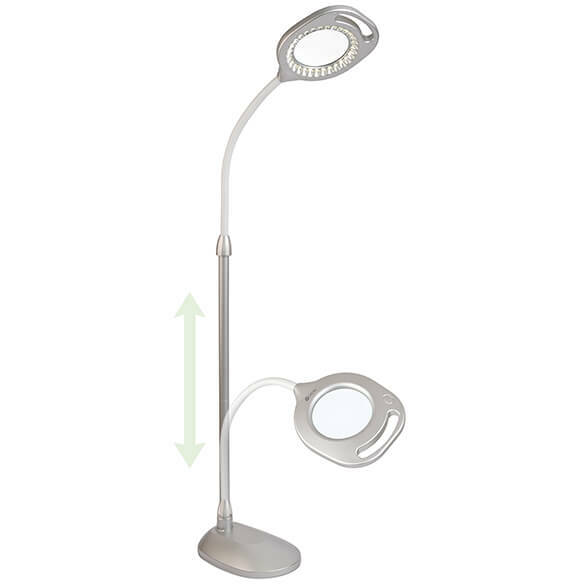 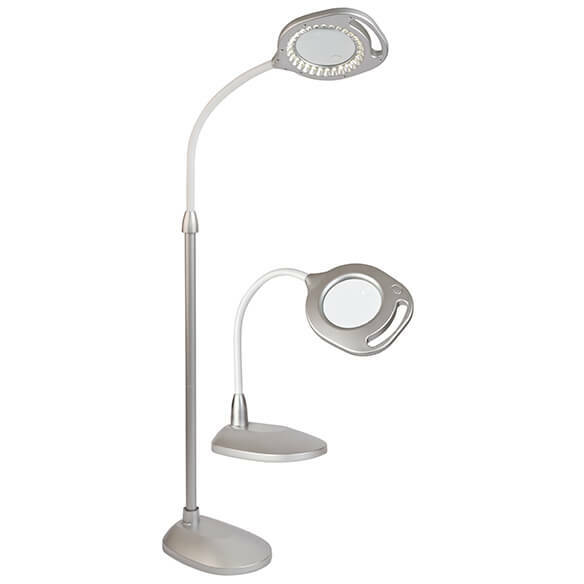 Combining the ultimate LED illumination with optical-grade magnifiers, this 2-in-1 LED Magnifier Floor and Table Lamp easily adjusts from floor to tabletop height, giving you two lamps in one. 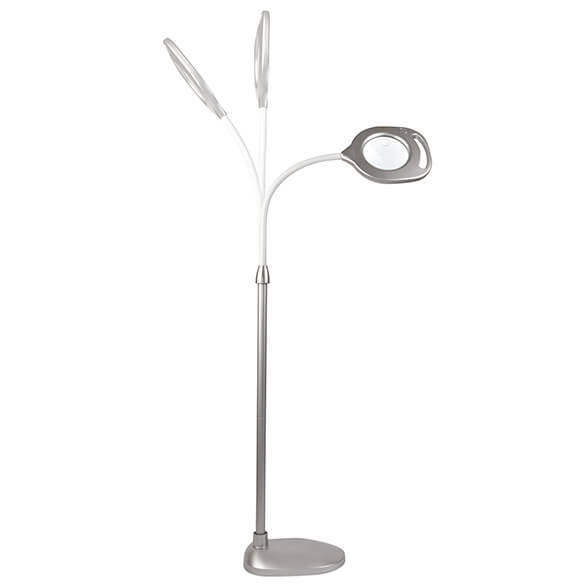 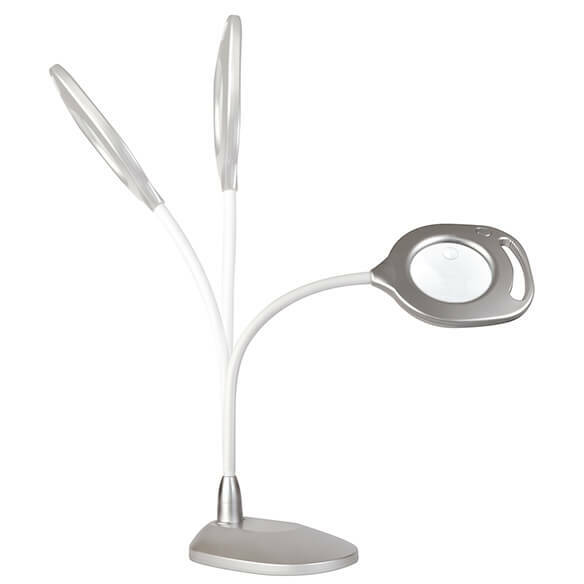 The magnifying lamp features 30 super bright, energy-efficient LED bulbs for natural daylight illumination and 2x optical grade with 4x spot magnifier—allowing you to see details and colors clearly and accurately while reducing glare and eyestrain. 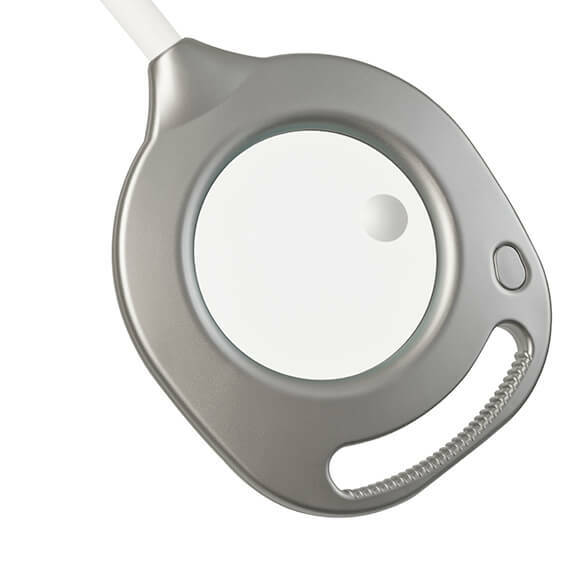 A sturdy integrated handle allows easy adjustment and flexible neck positions light exactly where needed, making it great for sewing, reading, needlepoint, putting together models, working on crafts, scrapbooks and more.